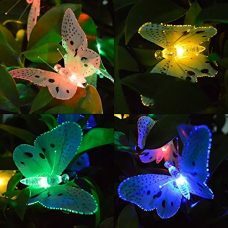 Bright Lights in any space, such as closet, cabinets, counters, utility rooms, bath, jewelry case, decorative, backlighting and more. 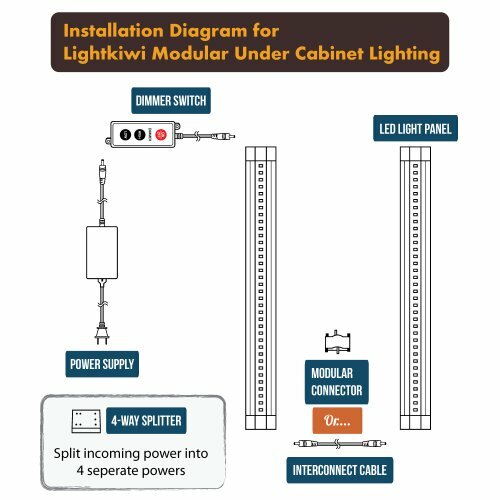 Lightkiwi Under Cabinet Lighting can be easily installed mostly anywhere with using proper tools and with the dimmer switch, you can easily control the power (on & off) and the dimming. 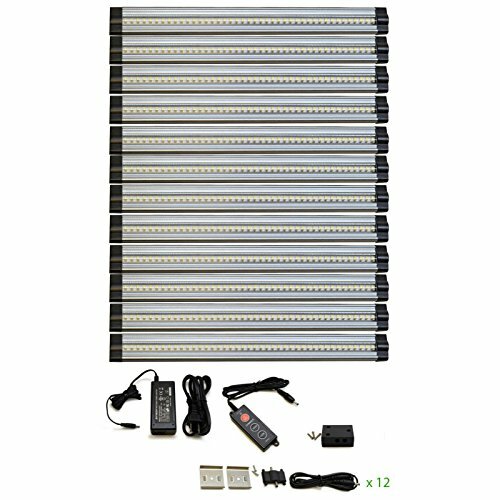 Individual 12 Inch Lightkiwi Under Cabinet Panel has 280 Lumen, bright 42 LED and only uses 3 Watts maximum. 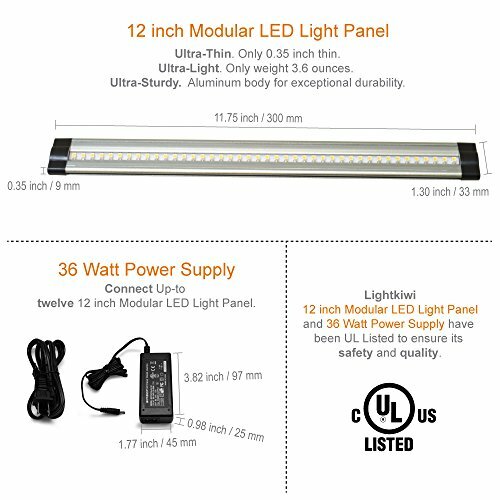 If you plan to use a wall dimmer switch, you need to do the hardwire installation with dimmable transformer, instead of the included power supply which plugs into wall outlet, due to the voltage difference between the wall dimmer switch (110V) and LED light panel (24V). 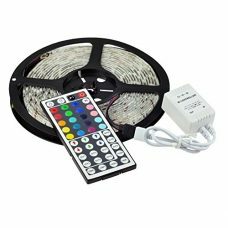 Inline dimmer switch (24V) is incompatible with dimmable transformer. 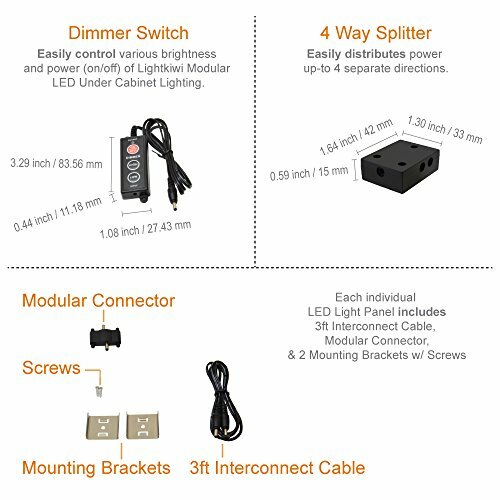 If not used with wall dimmer switch, plug-in power supply (except 6 watt power supply) can be used to do the hardwire installation, but if dimmer switch is needed, 24V dimmer switch is required. 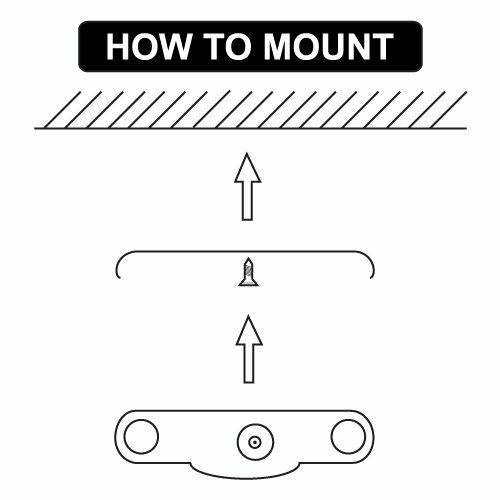 You would need to splice the power plug from the power cord and connect to the power source with a junction box or something similar. 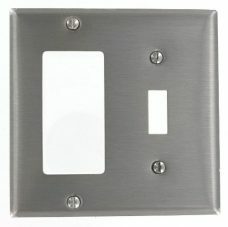 Wall dimmer switch (110V) is incompatible with plug-in power supply.